MONTREAL—With a season-ending schedule against four of the NHL’s top teams, the Montreal Canadiens knew their push for a playoff spot wouldn’t be easy. Halfway there, they have picked up four points, but the prize remains elusive. After a 3-1 victory over the Winnipeg Jets last Saturday and a 4-2 win over the league-leading Tampa Bay Lightning Tuesday, the Habs are looking ahead to games Thursday in Washington against the Capitals and Saturday at home against the Toronto Maple Leafs. The Canadiens (43-29-8) have 94 points in the standings, one point behind the Carolina Hurricanes and tied with the Columbus Blue Jackets. Each team has two games left. The other teams hold the two wild-card spots; the Blue Jackets have the edge on the Canadiens because they have more wins — 44 to the Habs’ 41 — in regulation time or overtime. The margin of error remains slim for the Canadiens, but it has been for a while. Against the Lightning, it was a full team effort. Coach Claude Julien was able to roll four lines without much worry until late in the third period. It was the same recipe used against the Jets, even more effectively this time. The Canadiens will need to continue that momentum over the last two games if they want to give themselves a chance at the playoffs. The Canadiens have not given up, and down the home stretch they continue to surprise against the best teams in the NHL. They showed resilience against the Lightning, coming back twice from one-goal deficits even though 28-year-old rookie goaltender Eddie Pasquale repeatedly stymied them. 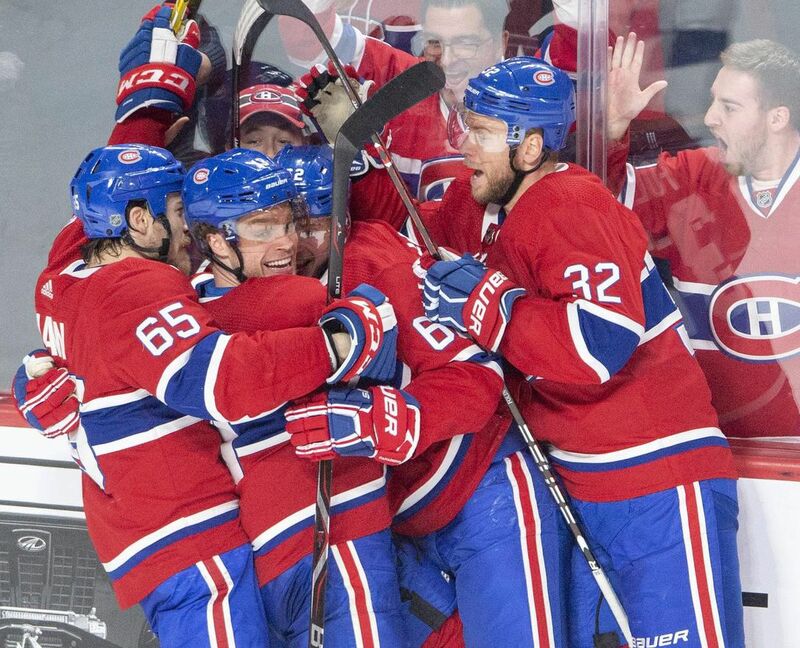 In an interview on the ice with RDS analyst Marc Denis after scoring the winning goal against the Lightning, forward Artturi Lehkonen brashly declared the Canadiens would win their last two games and make the playoffs. For the Capitals (47-25-8), the defending Stanley Cup champions, a win against the Canadiens would guarantee top spot in the Metropolitan Division for the fourth straight season. The Capitals would also capture the title if the New York Islanders lose in regulation time Thursday against the Florida Panthers. That will be even more true if the Canadiens manage to sneak in as the regular season ends.